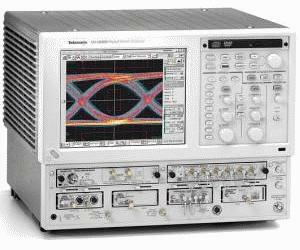 The DSA8200 digital serial analyzer sampling oscilloscope is the first tool to provide complete Serial Data Link Analysis (SDLA) capability and remains your time- and cost-effective choice for signal path characterization. As the leader in the market for TDR-based solutions, the DSA8200 gives you the greatest performance for serial data network analysis applications - TDR performance, S-parameter bandwidth, signal fidelity, and RMS noise. And as the leader, it also gives you the versatility for characterization and conformance testing of emerging high-speed computer and communications electrical and optical signals.